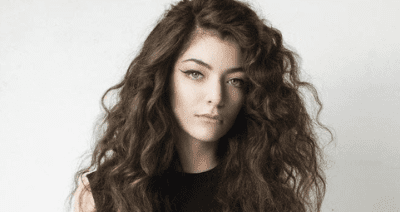 Browse > Home / Featured Articles / Will Lorde’s concert in Florida be canceled after she boycotted Israel? Will Lorde’s concert in Florida be canceled after she boycotted Israel? Florida State Representative Randy Fine called for the cancellation of Lorde’s upcoming concert in Florida, following the cancellation of her appearance in Israel in June 2018. The New Zealand-born singer canceled her concert in Tel Aviv following pressure from BDS (Boycott, Divestment, and Sanctions) movement activists. The current attempt to cancel her show in Florida is based on Florida state law, which prohibits the state from conducting business with organisations that boycott Israel. This campaign is an attempt to create the following equation: if you choose to boycott Israel, there is a price to pay. Taken at face value, this equation seems sensible. It answers the natural aspiration to make those who have chosen to boycott Israel suffer the consequences of their decision. However, the following questions must be addressed: is this equation necessarily beneficial and effective in the battle against the de-legitimisation of Israel? As a general rule, artists want to perform, and they want to perform in Israel. The ongoing attempt to impose a boycott on Israel is in direct contradiction to the objective of performing artists, to perform. To understand the decision to cancel concerts, we must understand the pressure to which these artists are subjected as soon as they announce that they intend to perform in Israel. The public diatribe by professional boycott activists calling upon artists to boycott Israel is open for all to see on the artists’ social networks. Their exhortations appear in public letters and other formats. Israelis, Israel supporters, protagonists, and antagonists, are all able and welcome to join this lively, public debate. This debate includes factual, moral, historical, and religious arguments, as well as mud-slinging, accusations, and hate-speech. However, there is another part of this diatribe that remains hidden from the public eye: private messages. When BDS target artists to pressure them into canceling a performance in Israel, the artist is bombarded with hate mail and explicit threats. These threats are sent not only to the artist but to anyone who appears to be part of the decision-making process. This includes the artists, their accompanying musicians, producers, promoters, managers, and sometimes even relatives. There is no shortage of artists who have publicly stated that they have received such threats. Former Beatle Paul McCartney publicised one such threat, which was actually made in a public forum. However, many artists prefer not to make these threats public. Why? If an artist decides to succumb to boycott pressure, he or she has no interest in explaining that this decision was made out of fear, especially if the alternative is to appear to be taking a moral stance. Given the above, this raises the following question: Are artists who cancel concerts in Israel due to boycott pressure (applied both publicly and privately) antagonistic detractors, or are they victims? There is no definitive answer, as the reasoning can potentially change from each and every artist. Certain artists with a long and proven record of social activism have chosen to cancel their concerts in Israel, such as Pete Seeger or Gil Scot-Heron. It is entirely possible that these cancelations were a result of the artist genuinely accepting the ideas promoted by the BDS movement. However, when an artist with little to no record of social action appears to “make an ideological statement” by canceling a concert in Israel, this is when we should look more deeply into the situation and raise the question above. “Going after” artists who have canceled concerts in Israel does not help battle this phenomenon. If we give into a visceral demand for revenge, the result will be a strengthening of the so-called “Silent boycott” – artists who refrain from contact with Israel to avoid a heated public dispute. If we establish a reality where artists know that canceling a concert in Israel will lead to a lawsuit or BDS-like persecution from the pro-Israel camp, this will strengthen the tendency to avoid Israel altogether. Given this, the true nature of the equation above (if you choose to boycott Israel – know that that this decision comes with a price) is that artists will be bullied and threatened by BDS activists on the one hand and by threats of legal action by the pro-Israel camp on the other. Damned if you do; damned if you don’t. The way to face this problem is not by alienating artists, but rather by working with them. The artistic community is looking to Israel for a solution to this problem. Our challenge is to create the conditions for artists to perform in Israel and assist them in coping with boycott attacks. Many international artists have taken to the stage in Israel and paid lip-service to BDS. Calls for peace, flying Palestinian and Israeli flags side-by-side, and even distribution of written material at concerts, such as the Geneva Agreement of 2003, have all become typical fare from artists performing in Israel. What we need to remember is that these moralistic actions, which make us roll our eyes, are in fact methods for coping with boycott pressure. Recently, there seems to be a noticeable change in the artistic community’s attitude toward the attempt to impose a cultural boycott on Israel. There was always resistance to the BDS campaign, mostly because artists would rather perform and make a living than not. More and more artists now shrug off and even strongly object to efforts by BDS supporters such as Roger Waters of Pink Floyd to convince them to avoid Israel. The pro-Israel camp needs to be aware of these changes in order to support and facilitate them, rather than create new obstacles in their attempt to curtail the activities of the BDS camp. Adam Shay is a senior program coordinator and researcher at the Jerusalem Center for Public Affairs, specializing in battling the cultural boycott of Israel.